Your soul is a created structure; your soul is a recreated structure. Watch how your soul is being created, watch, how it is being recreated. Your Soul is in the act of recreation, open your world and look, where the Creator has recreated him himself, look at the mechanism of recreation and you will see love. Love is the thing, which brings light to the world. Love is the thing on which the world is being built. Love is the thing that always exists and had initially been. Look at that one who created love and you will see you. Love belonging to you it is you belonging to love. Build with love, build with welfare, and build with a great joy of universal life and universal happiness and you will be able to see that joy which is seen by everyone who is around you. See the joy of those who are around you and your heart will be filled with happiness. Be in happiness; be in harmony and this happiness will bring you eternity. Look with your eternal eyes, look with your eternal body, and look with your eternal look at your relatives and grant them Eternity. Look with your Eternity at all people and grant them Eternity. Look with your eternity at the entire World, at your entire environment and grant them Eternity. The World will blossom and a flower, which blossoms eternally, will appear. This flower will be your World, which is the World of everyone. And you will live and your happiness will be endless. 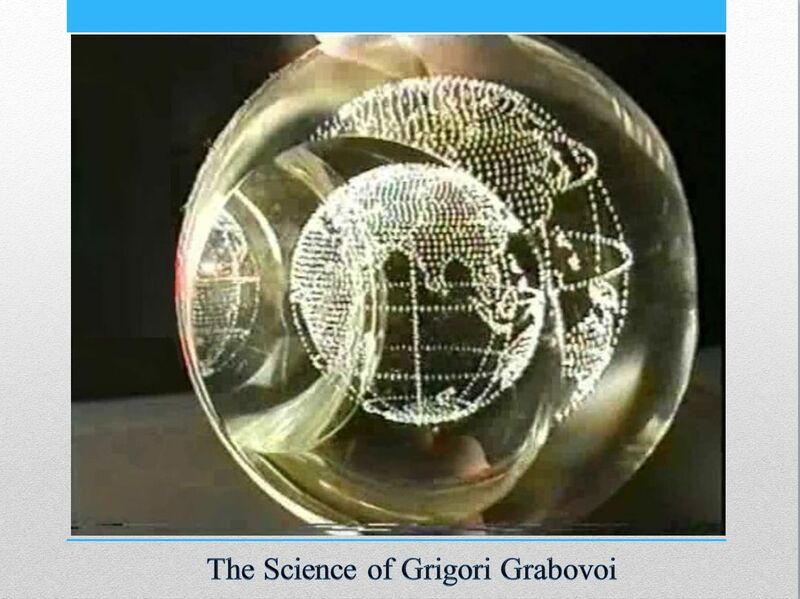 In accordance with the Teachings of Grigori Grabovoi “On Salvation and Harmonious Development” one can spread the Light of Consciousness on the luminous imagination of any object of the world and thus to control events. The next method consists in control by means of a color. That is to say the color, which you perceive within the structure of your Conscience, is a controlling thing; and the meaning of the method is as follows: you chose a color which you like most of all at the moment, – it is desirable that the color is of a light tint, – the chosen color you refer to the Teachings “On Salvation and Harmonious Development” and then by work with any other color around this color you implement control. That is to say the meaning of this control is rather simple; it just consists in going over colors which cover the controlling area. That is to say if you want to exercise control of events, the outer color should cover the area of the event as if it is some external glow, and it should always relate to the color, which corresponds exactly to the level of my Teachings “On Salvation and Harmonious Development”, and in other words, first of all, to the level of prevention of possible global catastrophes and guaranteeing harmonious development. When we speak about guaranteeing harmonious development we mean exactly guaranteeing eternal, so to speak, development. Thus the concept of color characterizes in the most harmonious way the structure of Consciousness exactly by eternal development, therefore the Light of Consciousness, which interacts with the light of external reality in control through color, at once possesses increasingly the nature of spiritual control; in other words you exercise control increasingly by means of your Spirit, because this is exactly the Spirit that characterizes, well, position just of infinity in control, that is of immediate maximal access, and when you control by means of color, exactly this position is evidently revealed most of all in the characteristics of the color itself in your Consciousness, because in Consciousness just color is characterized so to speak by infinity. When you speak about a color, you imagine just a characteristic, that is infinity, therefore control by color is simultaneously a superfast level of control, and therefore, in order to prevent possible global catastrophe you may actually act immediately by means of control through color. Axiomatization of the principles of salvation is based upon the compatibility of conditioned or unconditioned relations of a timeless interval. The laws of the world order implemented in specific results of salvation are described in this paper as practical mechanisms of salvation. The criteria for object identity are separated from the objects of identification by the spatial relationship between the past and the future. Invariance (invariability of the initial area of the object under transformations) of temporary forms is reflected in the primary component of the relations between objects. The space defines the secondary structure of consciousness in relation to the primary structure of the range of motion. The criterion is the relationship of the laws with the boundary determined in recognizing external, with respect to the point of perception, environment. The reality of consciousness in recognizing the object of perception. The motion has a vector (directed) nature only for limited areas of the perceived world. Status of axiomativeness is, at the same time, a method of archiving the learneed knowledge for working the methods of developing salvation. practice knowledge. Reality is a connection between consciousness and life form. The concept of reality is a property of consciousness to transform knowledge. The actuallity is different from the reality by the level of descriptive approach to the principles of understanding consciousness perception. My practical work on applying your clairvoyance, presented in records and testimonies of the three-volume work” The Practice of Management. The Way of Salvation” proves that a it is possible to get information about the past, the present and the future via clairvoyance. Considering consciousness as a structure consisting of a field relevant to a man and a field projected into different time and space, we can define the laws of dynamics of these area during the session of clairvoyance. In fact, the projection area of ​​consciousness is a matter possessing the function of relocation in any space-time continuum. Considering that at relocations of the projection component of consciousness in the field of consciousness related to a man, there appears the information corresponding to the projection part, you can define the laws of the dynamics of the consciousness components. V (P) – change in volume of V shape of information corresponding to P.
Knowing that the differences in the relocations of the consciousness projection components form the of from the physical body relocations are in the time vector difference in relation to the single-type processes, we can construct physical objects able to move in any area of the ​​past and the future. Thus, knowing the laws of consciousness transformation we can receive the laws of transforming physical reality via an analog projection. Human consciousness is infinite. We have for the sake of eternal life to be able to expand it by means of creative thinking under the certain laws that are explicitly or implicitly manifested in the book. In sudden, creatively controlled transition of perception from one image to the obviously not associated other it can be found out an information that provides eternal life, and the corresponding development of the spirit built on the willingness of the target to the control of eternal life perception of any images. Unexpected narrative passages exhibit events of eternity, which are expressed by reality diversity that allows thinking to manage it. Creator formed the control thought created the events right for eternal life with any object of reality and perception, has the knowledge, guaranteeing him eternal life. 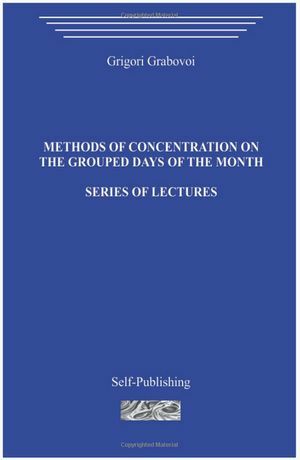 Methods of concentration on the grouped days of the month. Series of lectures. In the collection in an accessible form the relationship between the various objects of the external physical reality and the informational objects in the form of thoughts are explained. 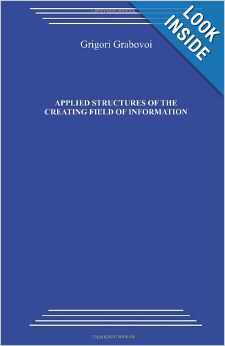 The way the material is presented allows the reader to comprehend the laws of interrelations of the reality based on the practical results obtained during the process of mastering of the proposed methods of concentration. Specific recommendations given in the text, which help the reader to take the path of conscious action at concentrations, allow you to do multiple analyses of concentration, understand the essence and the harmony of the relations of the surrounding world. The integration of different types of concentration leads the reader to the concept of optical level of perception that is identification of this concept with the level of thinking as an optical image… This book is for those who aspire to discover the world of love and are ready to give a helping hand to all who need it. 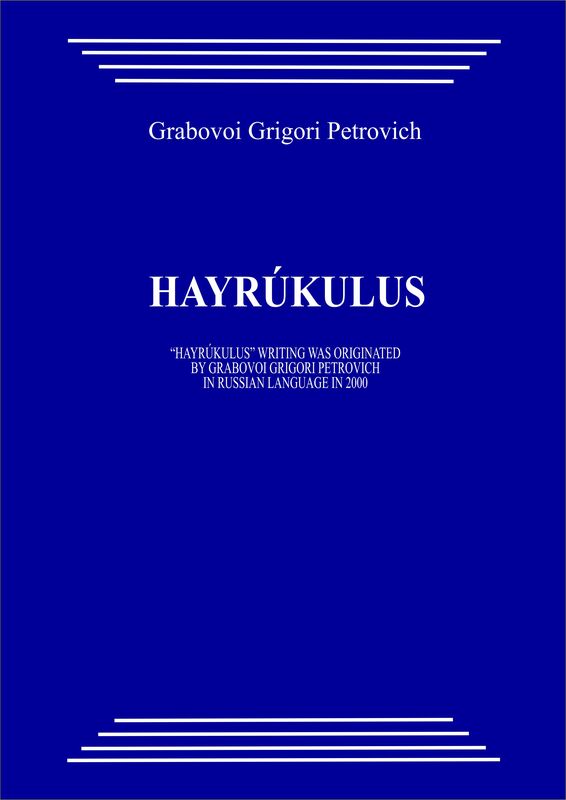 The success of the use of the methods is in the ideology of the Teachings of Grigori Grabovoi, aimed at the salvation of everybody from the catastrophe of any level. The given methods are simple and accessible to all the people. The present paper is based on the idea of the constructive nature of knowledge. The scheme of the work is that the consciousness of a human being (for any object it is a form of reaction) is considered as an element of the world in which all elements are interconnected. 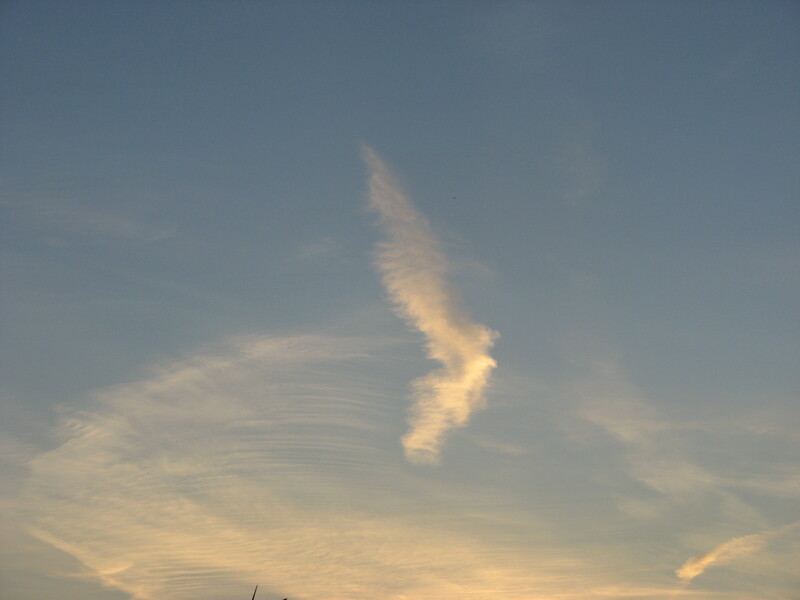 Then, a change in human consciousness (or the shape of the object reaction), involves changes in all other elements of the world. This allows to gain knowledge about the environment and optimize the processes taking place in it. Since such cognition of the world is based on an element f the very world, the knowledge received does not destroy the world, and only develop it in a constructive direction. During the presence of destructive technologies received as a result of the process of cognition, it is necessary to develop a constructive apparatus of cognition. The practical results of work, obtained in the given paper, show that the doctrine of constructive development of cognition management of the world allows to formalize all the phenomena of reality and to receive an environmentally friendly man-made way of development. The present paper is based on practical outcomes, obtained at implementing the concept of salvation through management. There were studied results of saving men and equipment, the results of managing matter. 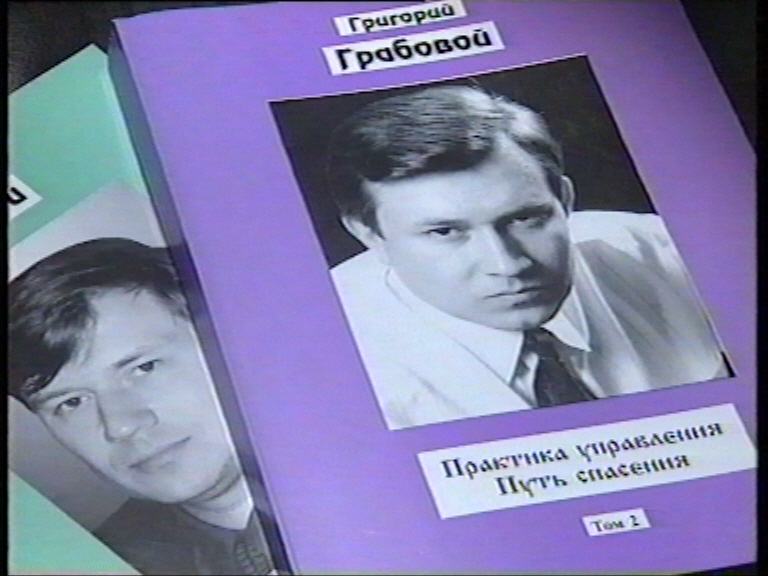 Minutes of the results are in the three-volume book “Grigori Grabovoi. The Practice of Control. The Way of Salvation”.